Welcome back to Monday Motivation! Yesterday was Mother's Day. I hope you had a lovely one! Mine was a calm day spent cleaning the sewing room. I was able to make a huge dent in the mess that I have been creating by sewing and organized my yellow fabric for my block for The Splendid Sampler. This is one of the blocks from a couple of weeks ago by Amy from Diary of a Quilter. It is a lovely paper pieced block. Simple and straight forward to make. This is a great block to try if you have never tried paper piecing. Paper piecing is the best way to perfect points! It is by far one of my most favorite techniques! The Splendid Sampler is a sew along that has two FREE quilt block patterns a week! Organized by Pat Sloan and Jane Davidson, it is constant education, entertainment and a little of ALL techniques for you to try. There will be 100 blocks total from 83 designers. 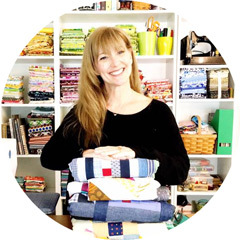 If that was not enough, there is a wonderful Facebook group over 20k strong with supportive sewing friends! For my block, I used a variety of scrappy yellows, the background fabric is Zen Chic Modern Background for Moda Fabric and the thread I use for perfect piecing is Aurifil 50wt! Yellow is also the scrap busting #bescrappy block color of the week! 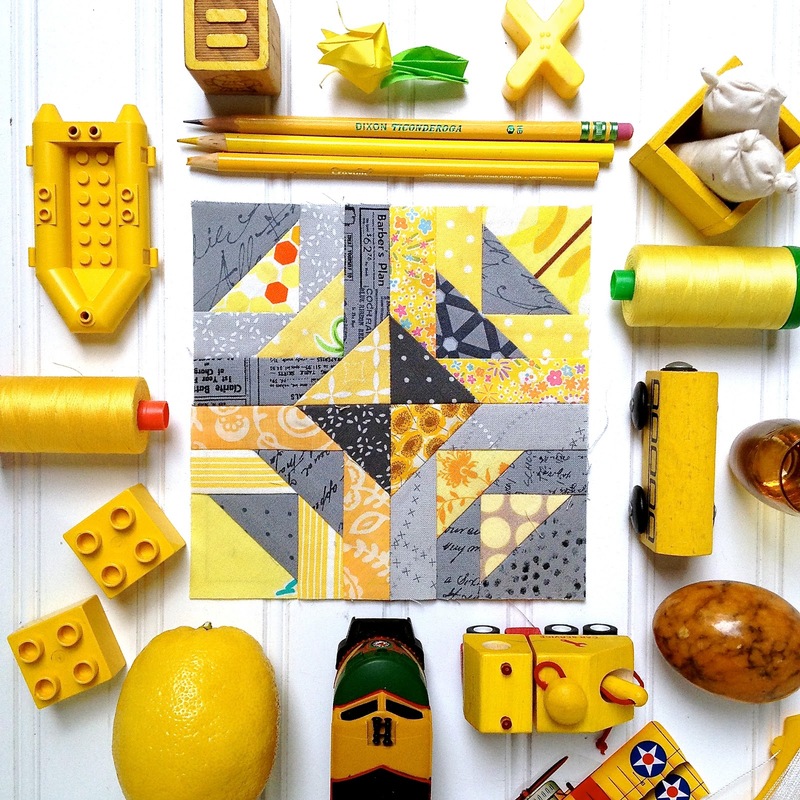 Grab your yellow scraps and join me on Instagram (gogokim) and Susan ( yardgrl60) to use up some or your scraps in creative ways! Be sure to add the hashtag #bescrappy so we can see what you are creating!